Current: MASTERPLASTY—Ronald Wimberly calls it "a modern classic"
MASTERPLASTY—Ronald Wimberly calls it "a modern classic"
Writer and artist James Harvey’s MASTERPLASTY, the cult online sensation, will finally be available in print, coming to Image Comics this October. A young man decides to leave his college girlfriend after undergoing a new medical procedure which drastically modifies the physical appearance of the human body in ways both beautiful and hideous. But will changing the outside change what’s within? "Reading comics as a kid, I loved Spider-man, I loved indie books like Dan Clowes or Julie Doucet, I loved Akira, I loved Image artists like J. Scott Campbell... I didn't see genres or styles", said Harvey. "I just saw comics. I still do. I think you can see that in the work I do." When asked if he was to comics what Prince is to music—neither R&B, funk, or rock—just Prince, Harvey said: "Exactly. I want to be the Prince of comics. I already had two ribs taken out and I'm wearing ladies' underwear, so I'm halfway there." This is James Harvey’s print debut. 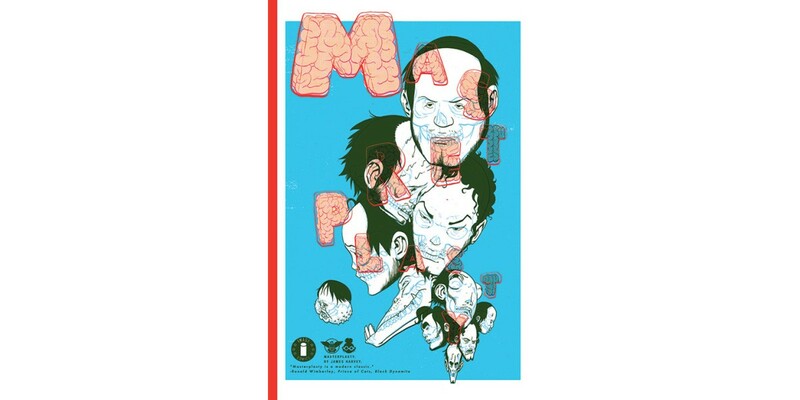 The issue will be in oversized format, available for $3.99 to pre-order with Diamond Code AUG140555 and is beautifully illustrated in the tradition of Jamie Hewlett and Katsuhiro Otomo.